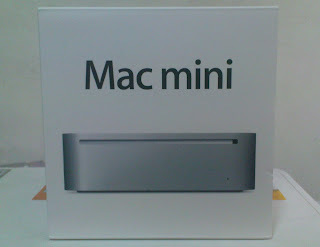 I bought a Mac Mini this week. It is the smallest and most affordable desktop machine from Apple. It is only 6.5 inches square, roughly the size of a CD case and two inches thick. In fact, if not for its weight, I can assume that it's more of a portable than a desktop Mac. 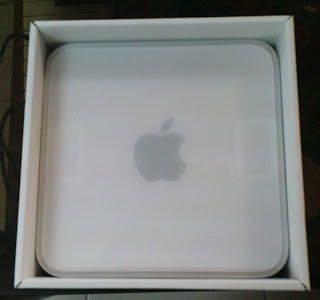 This is the latest iteration of the Mac Mini. It now has a superdrive and big HD drive. Just like any Mac machine, I set it up so easily and within 20 minutes, I was surfing the Net and sending tweets about how I love it. Although it has limited power than the Macbook Pro, I am still satisfied with my Mini since it meets my needs.